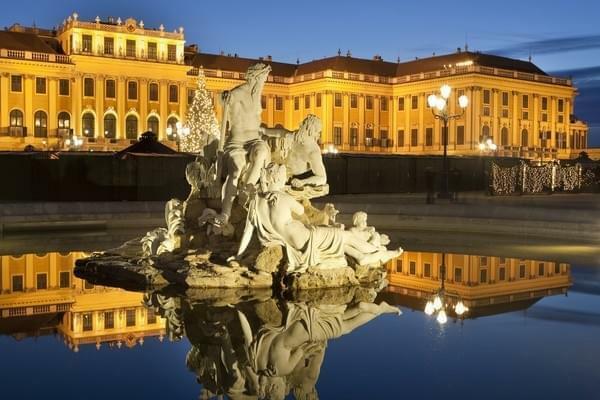 Vienna is one of the most fascinating capitals of Europe, it has more than one trick up his sleeve to attract and charm the tourists: nature, culture, architectural heritage, all there. But if there is one thing that could make a reluctant traveler to fly to Vienna is definitely the high cost of living. Indeed, living in Vienna could give a good slap to your wallet if you are not careful. The first thing to do as a precaution and to spend less is to book in advance your hotel room. If you go to Vienna without having made your reservation you risk paying the price expensive or even worse to spend the night under the stars. Being a destination for conferences and numerous events, Vienna often full. If for one reason or another you go without making a reservation, call Vienna Tourist-info ( http://www.wien.info/ ) is an agency which will make the last minute reservations for a small fee of 3 €. As for choosing your hotel, avoid the 1st district, its schools are unaffordable. The districts surrounding for their home to hotels much more affordable, within reach of the average budget. Otherwise an alternative to hotels you have the hostels, they are far more affordable and are generally well located in the heart of Vienna. If this tempts you, here are some addresses: Strawberry Hostel Wien (Mittelgasse 18 1060 Wien - Tel: +43 0650 3011107), Jacks Hostel Vienna (Lerchenfelder Gürtel 26-28), Wombats City Hostel Vienna (The Lounge Mariahilfer Straße 137 - Tel : +43 1 8972336) and Vienna City Hostel (Dampfgasse 8 - Tel: +43 1 5058843). The camp can also be a good solution to stay in lesser blows in Vienna. The city has four in total: three are located west of Vienna and is located on the Danube River. To benefit from attractive rates, you must book in advance and avoid the high season. For more information, here is a site dedicated to camping in Vienna http://www.campingwien.at/ .